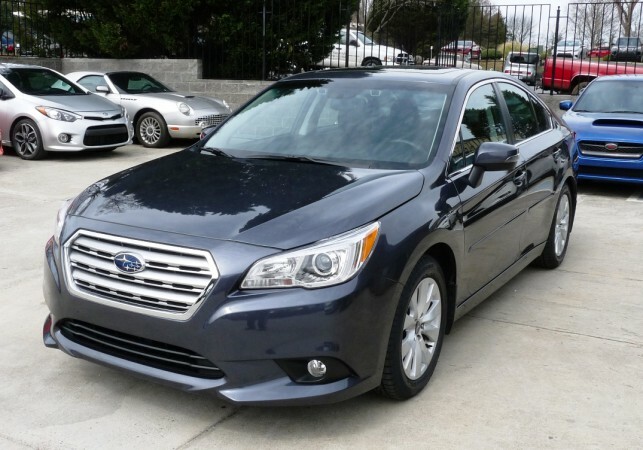 Looking for a new Subaru vehicle, but need to sell your old one ? Subaru Scrap Yard buy any Subaru cars or SUVs , any make, any model, any age, any condition. Anything is considered. We pay instant cash at top prices. Car wreckers Melbourne is the safest and easiest way to selling you car. No expense, No time wasters, No hassle, No fees. we cover all areas in Wellington and surrounding areas. Selling a Subaru vehicle can be a complicated task, newspaper advertising is known for attracting time wasters, what if nobody answers my ad, what if I have to sell my car urgently. As well as a huge stock of Subaru spare parts in Melbourne we also have a huge range of second hand wheels, rims, tyres and car batteries. Are you looking for a replacement Subaru door or mirror? We can help find the right spare part for your Subaru and get you back on the road sooner. Subaru Scrap Yard have many years experience in the industry and specialize in Japanese vehicles, all makes and models, from the year 1991 onward. We have a huge range of near new and used auto parts, dismantling over 400 vehicles in monthly basis . Subaru Wreckers are Subaru engine and gearbox specialists! Cuts: Front Cuts – Nose Cuts – Rear Cuts. Mechanical Parts: Engines – Gearboxes Transmission – Diffs. Electrical: Stater Motors – Alternators – Switches – Car Audio. Call Subaru Scrap Yard now, why pay full price for a brand new parts when you can get good quality used car parts for a fraction of the cost! all second hand car parts are checked and are good quality and very reasonable price. Cash for cars Melbourne are the largest car wreckers in Victoria region an we can even help with those harder to find spare parts such as seats, internal, electrics and more. If you need a spare for your Subaru contact Subaru Scrap Yard today on 03 8751 1908. You may want to see other branches that dismantle Subaru vehicles: Subaru wreckers Sydney, Subaru wreckers Brisbane, Subaru wreckers Perth. If you require any further information on any of our services that we can offer kindly contact our car removal specialists team on 03 8751 1908 or use the inquiry form provided and we will get back to you as soon as possible. Call Subaru Scrap Yards now. Why pay full price for a brand new parts when you can get good quality used car parts for a fraction of the cost! All used car parts are checked and are good quality and very reasonable price. Widest range of parts for all Subaru models: Subaru wreckers supply used and some near new parts for Subaru cars & SUVs from 1991 to the latest models. We supply parts for Subaru Forester, Subaru Impreza, Subaru Legacy, Subaru Outback, Subaru SVX, Subaru R2, Subaru Ace, Subaru Justy, Subaru Trafiq and most other Subaru models. This entry was posted in Blog and tagged Subaru Ace wreckers, Subaru car parts, Subaru Forester wreckers, Subaru Impreza wreckers, Subaru Justy wreckers, Subaru Legacy wreckers, Subaru Outbackwreckers, Subaru R2 wreckers, Subaru Scrap Yard, Subaru Scrap Yard dandenong, Subaru Scrap Yard frankston, Subaru Scrap Yard melbourne, Subaru Spares, Subaru SVXwreckers, Subaru Trafiq wreckers, Subaru used car parts, subaru Wreckers Melbourne on April 8, 2016 by vicwreckers.